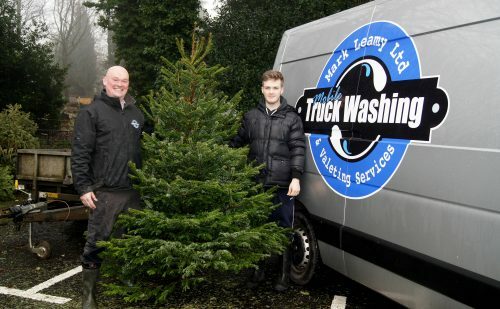 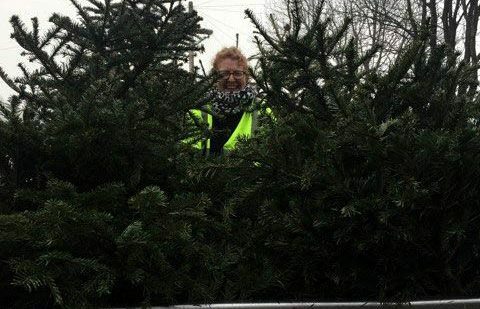 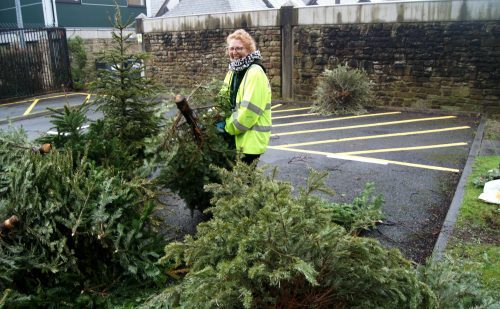 Home » About the hospice » Latest News » Fundraising News » St John’s Hospice collects record number of trees! 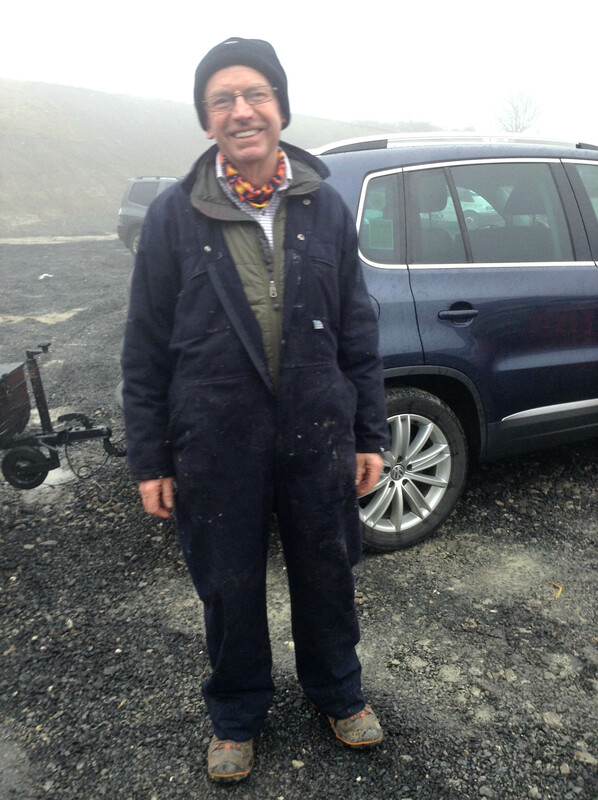 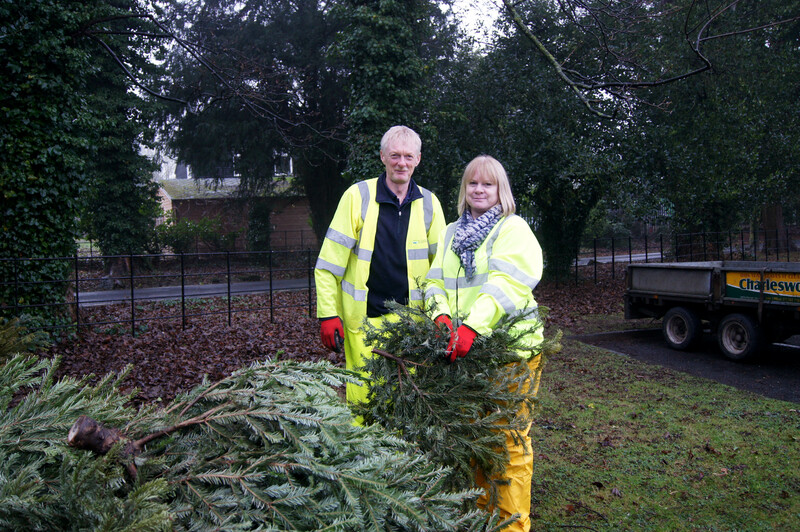 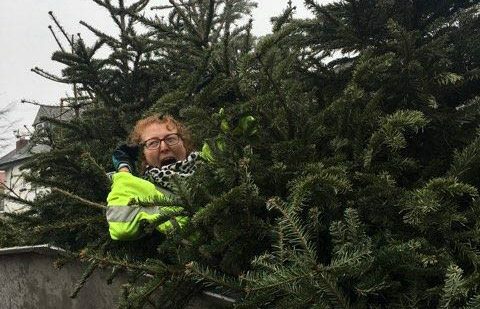 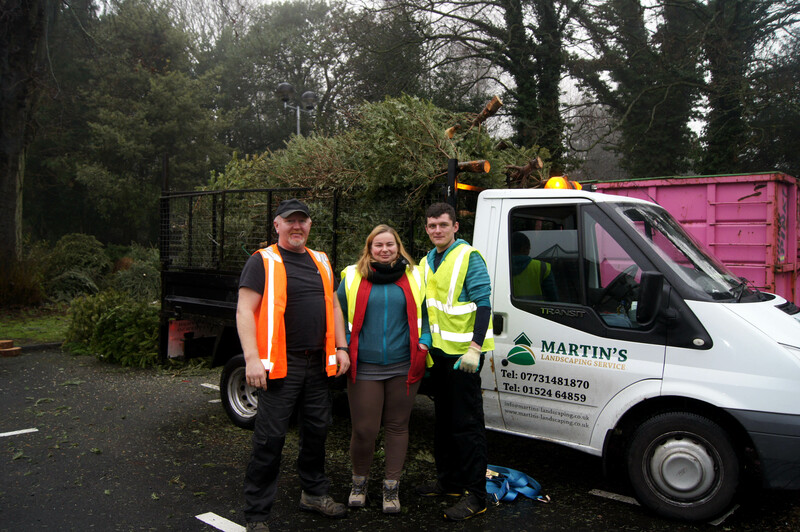 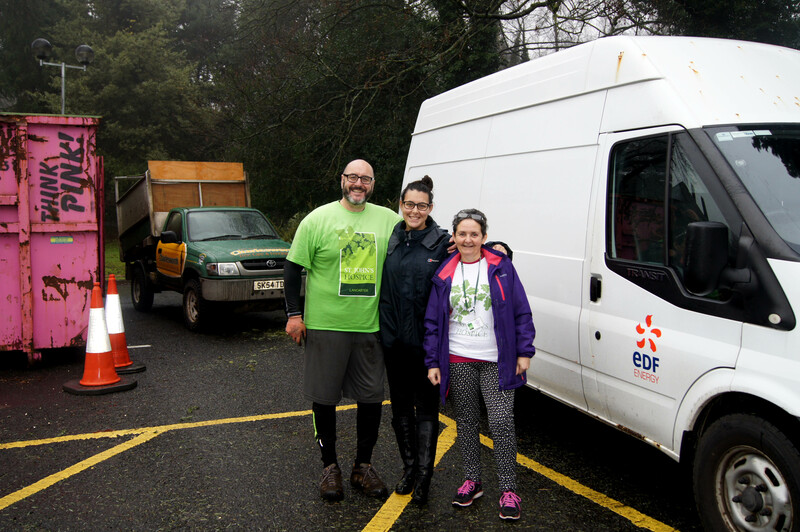 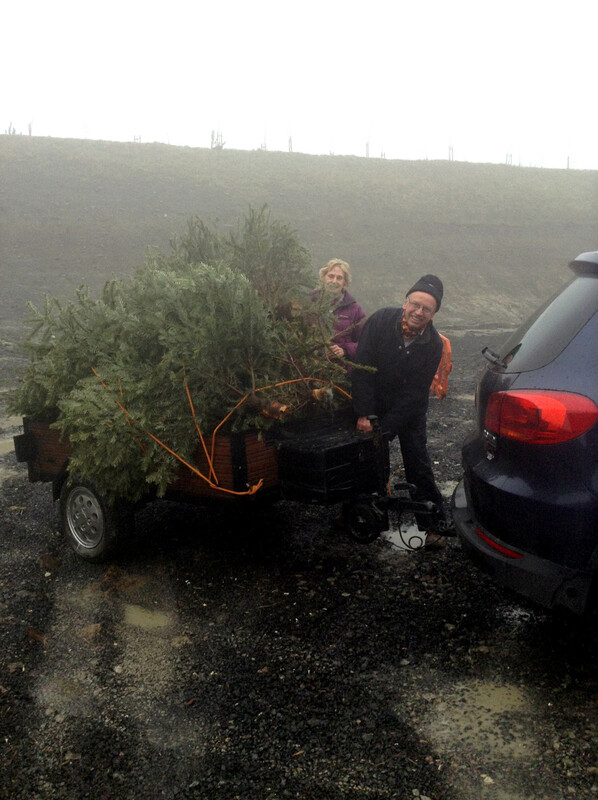 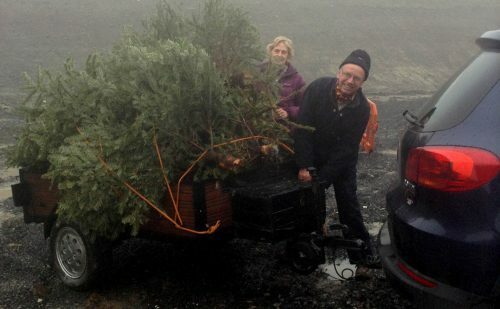 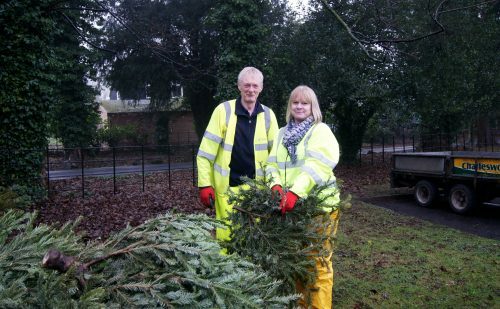 St John’s Hospice collects record number of trees! 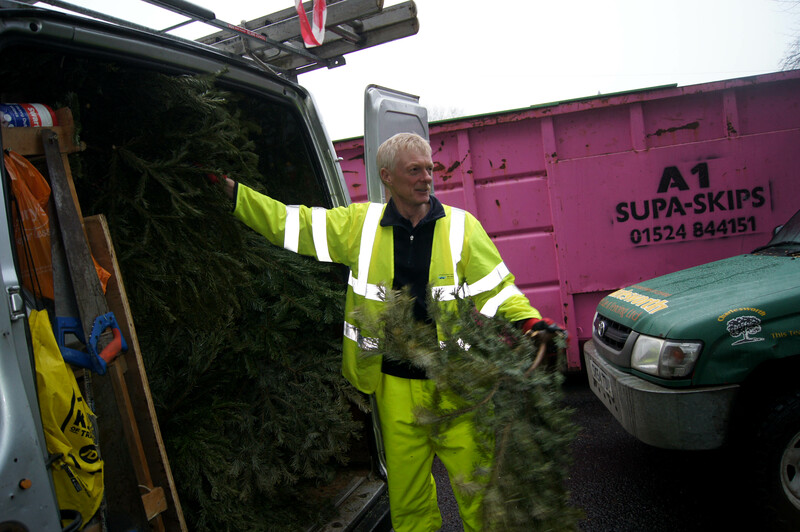 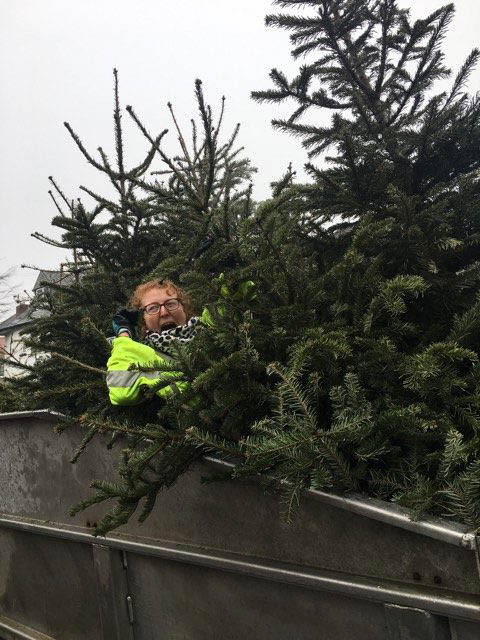 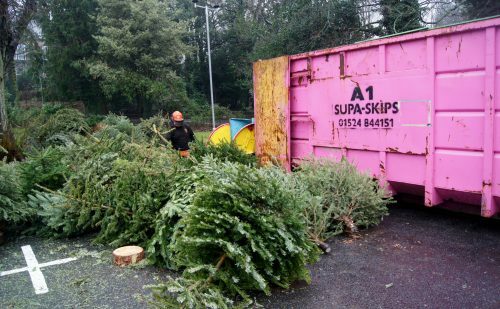 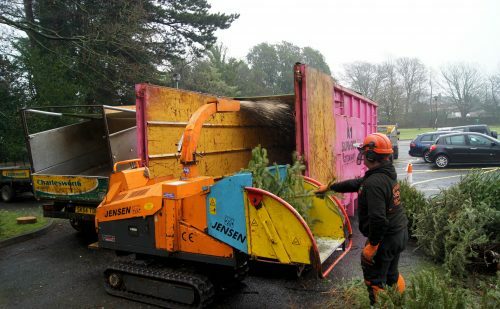 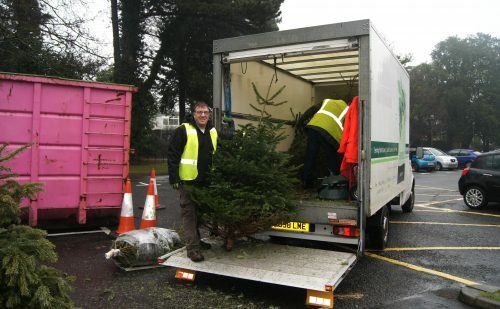 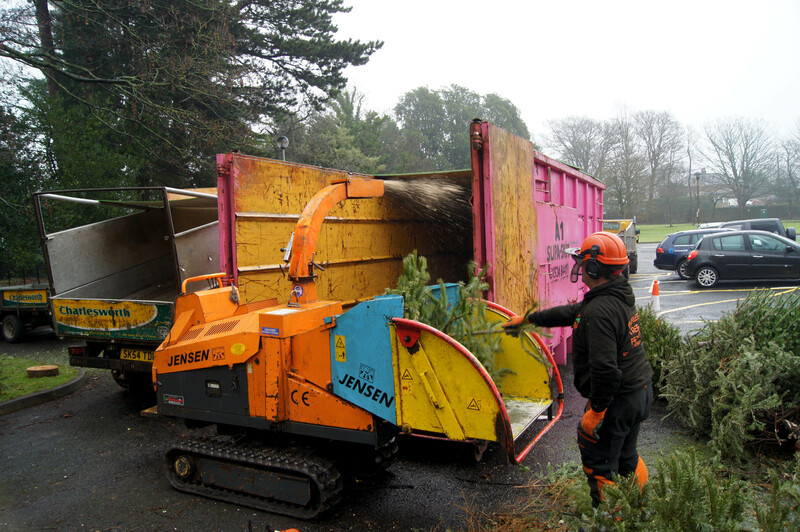 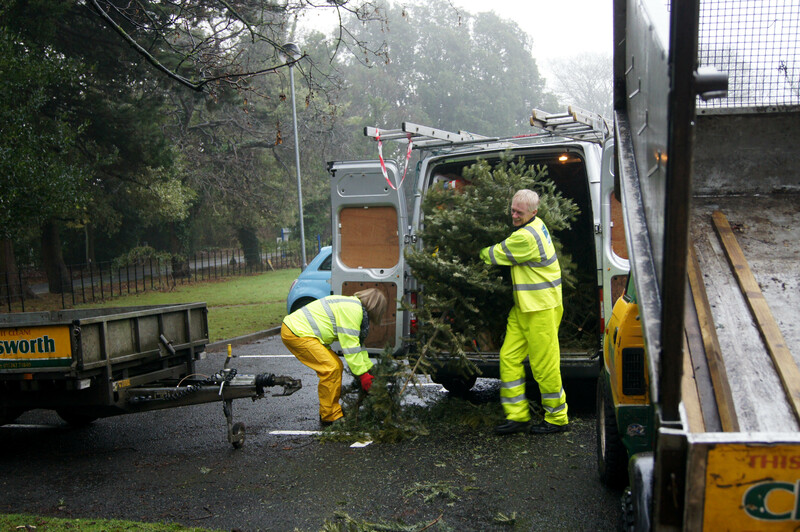 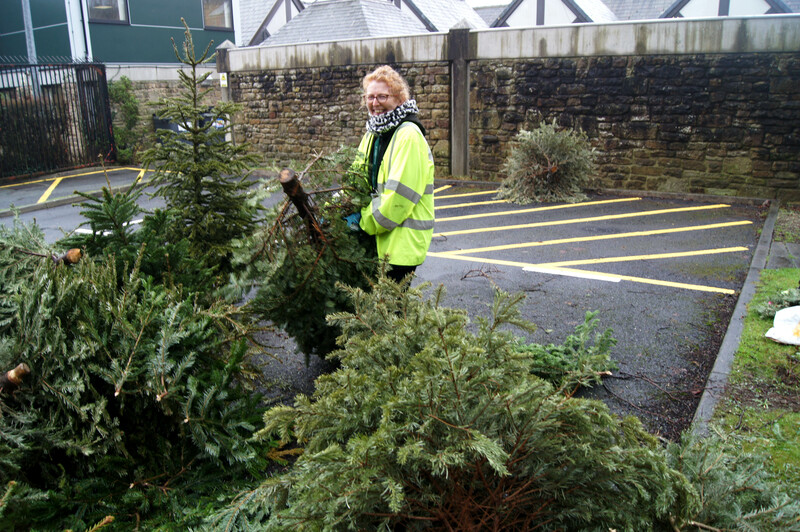 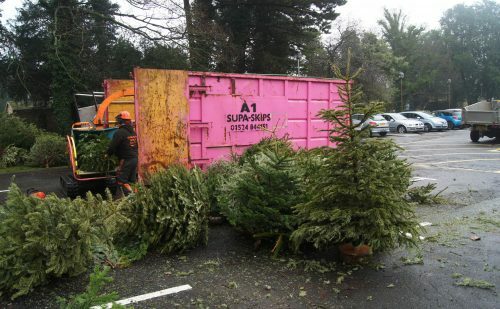 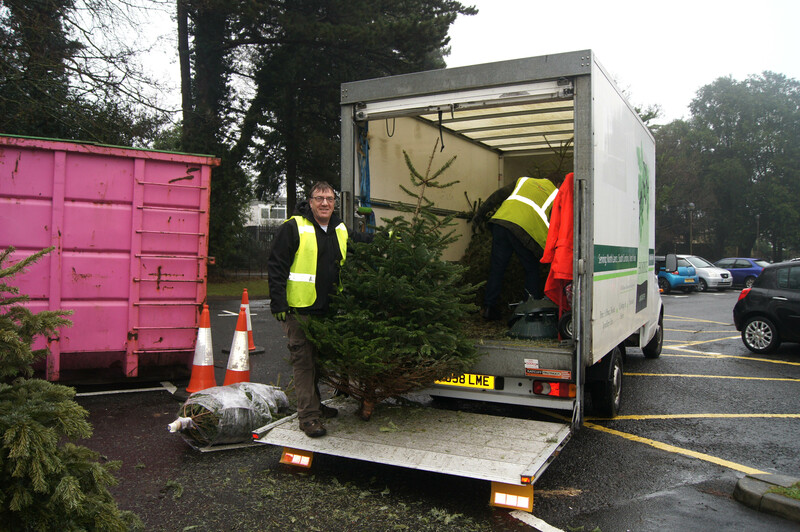 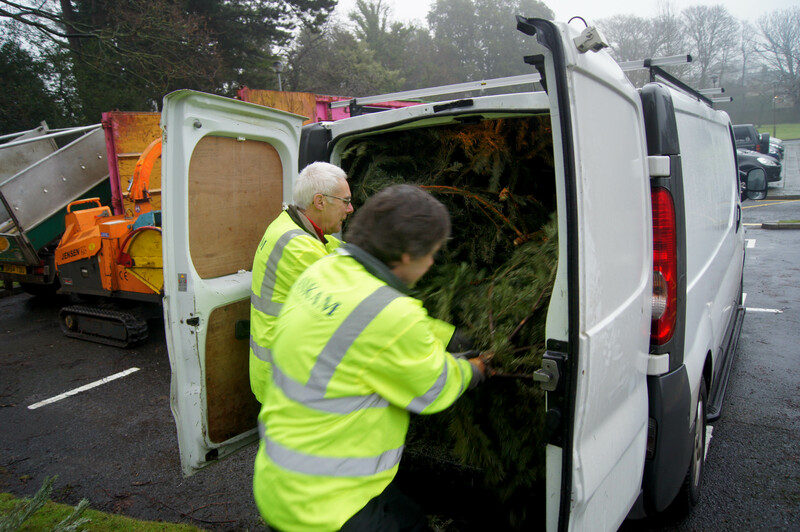 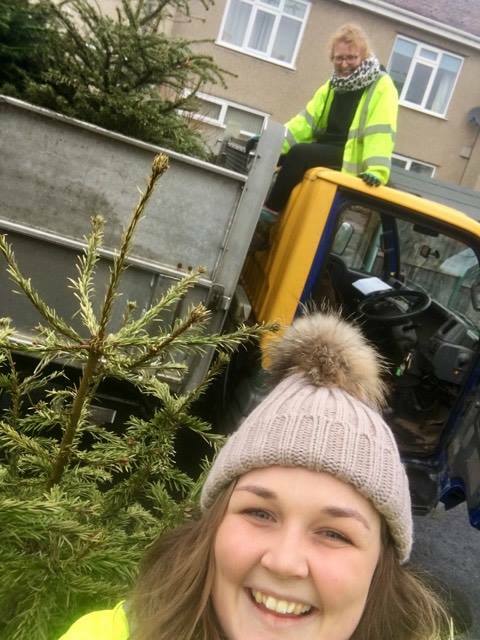 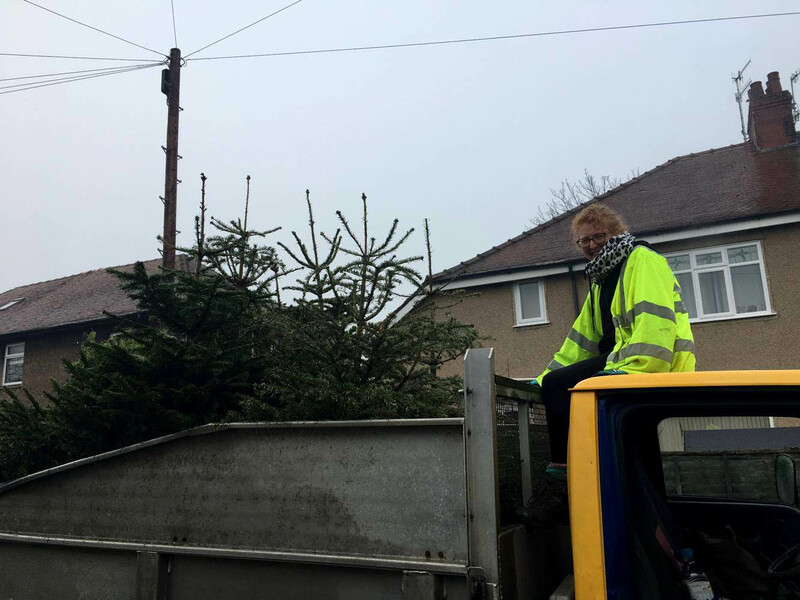 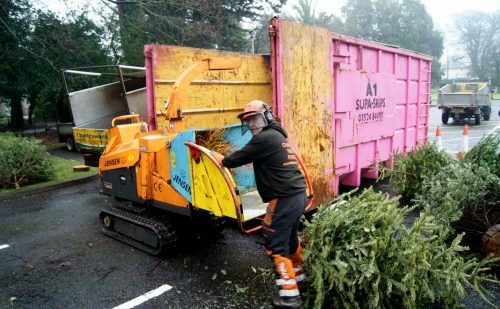 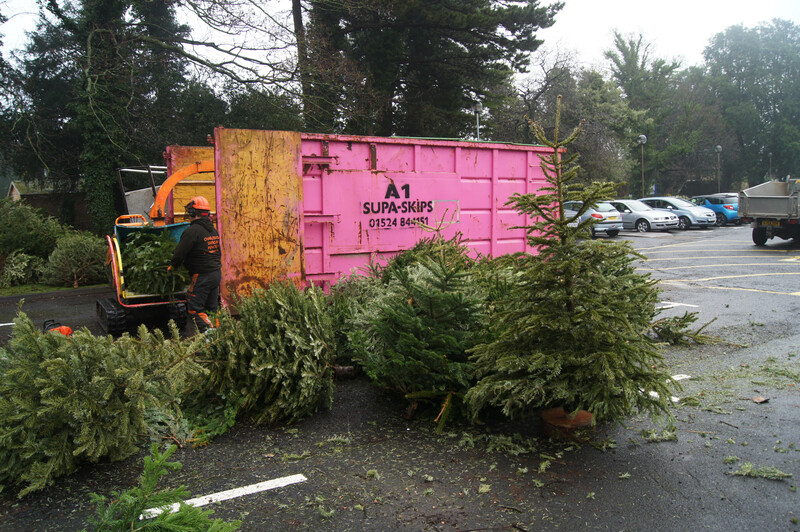 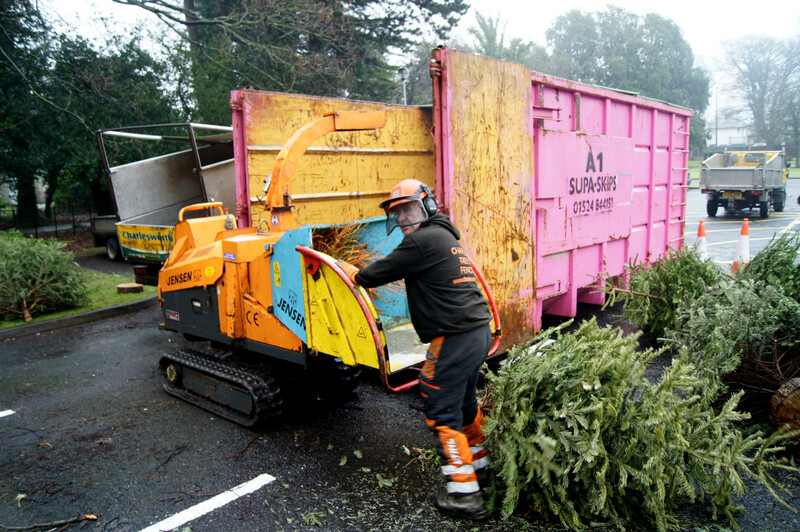 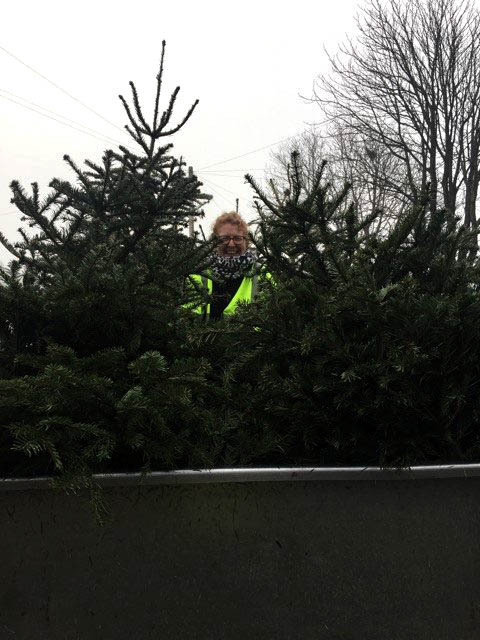 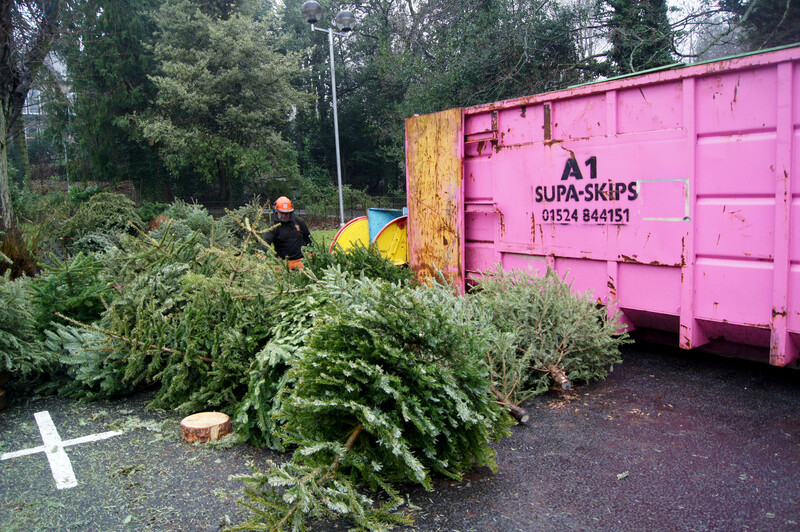 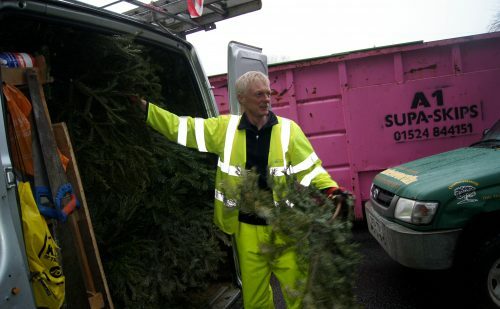 A whopping 1361 Christmas trees were collected & recycled over the weekend 7/8th January 2017 as part pf St John’s Hospice Christmas Tree Recycling Scheme. 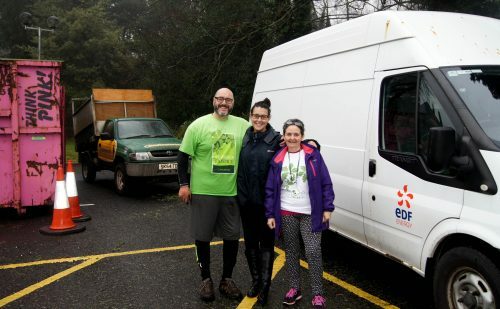 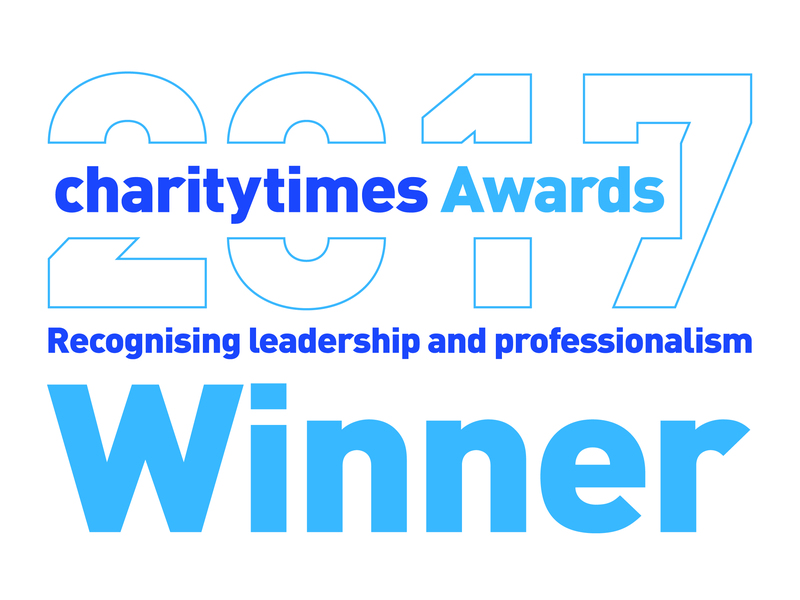 The hospice has run this campaign for 9 years helping raise funds for the local hospice In-patient Unit, Day Therapy Unit & Hospice at Home teams. 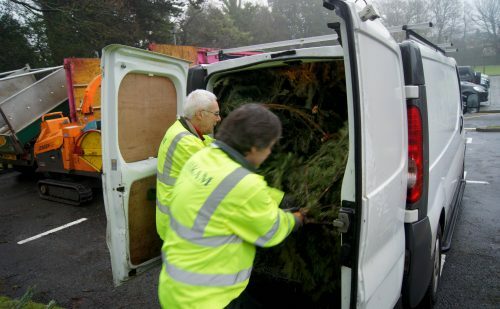 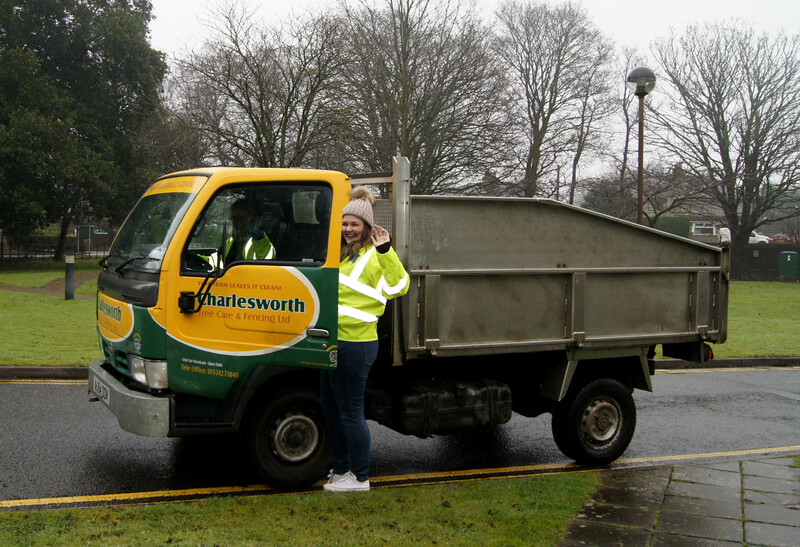 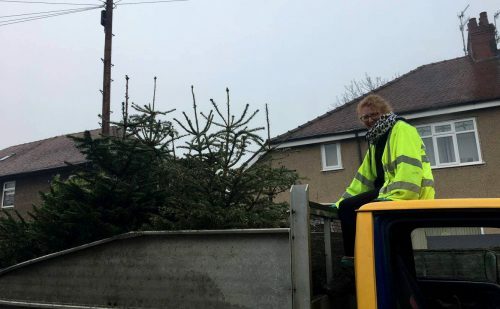 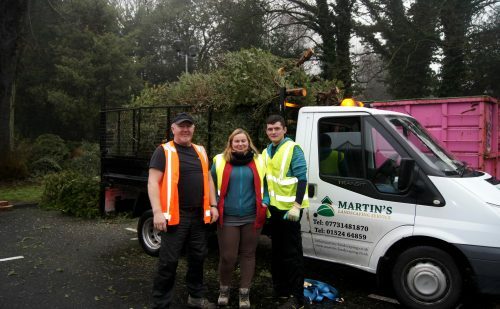 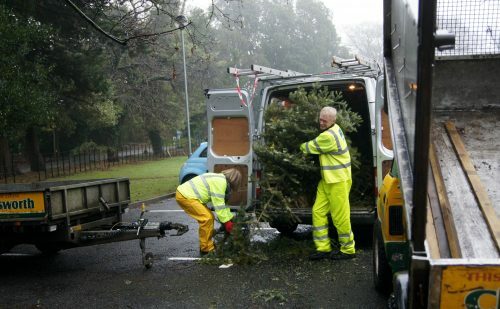 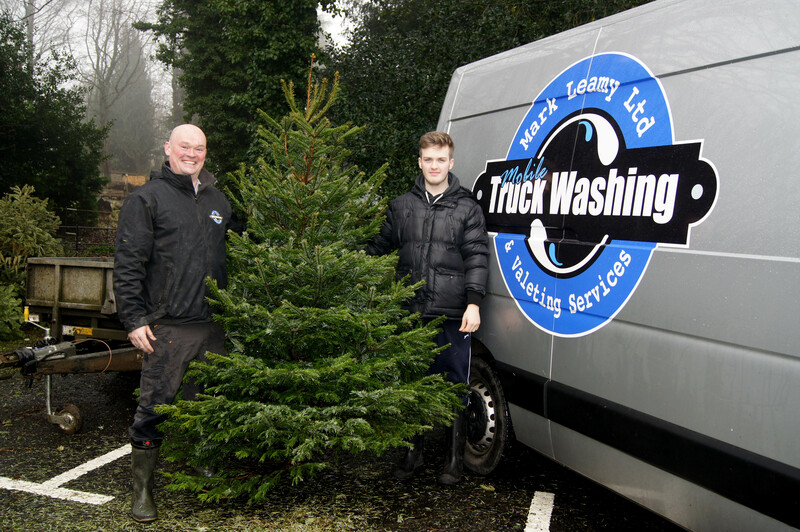 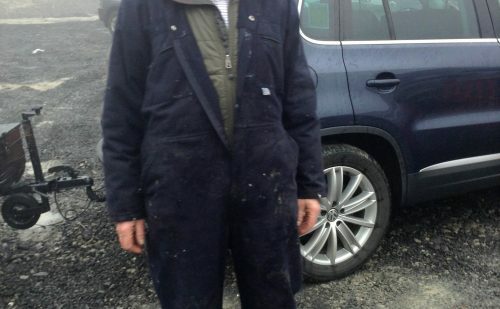 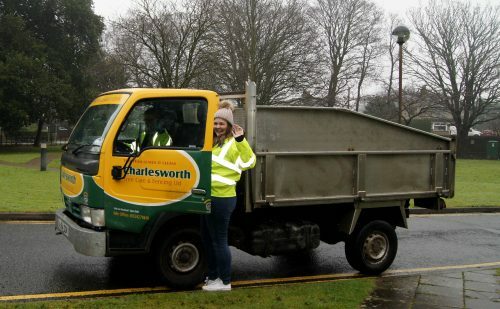 The simple scheme is a win- win for all involved – it offers a hassle-free service to the public, removing their trees with no mess or fuss; it is environmentally friendly – recycling these trees, mulching them & using for fuel. 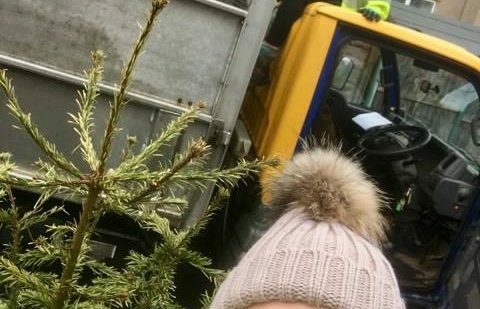 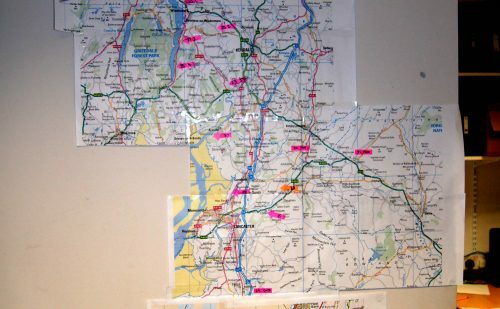 In fact some of the trees have been taken whole by South Cumbria Rivers Trust to help fortify river banks and reduce river erosion following the devastating floods in December 2015. 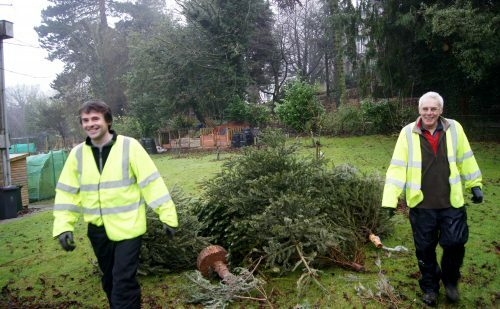 Most importantly, this campaign has raised £13,000 for St John’s Hospice!! 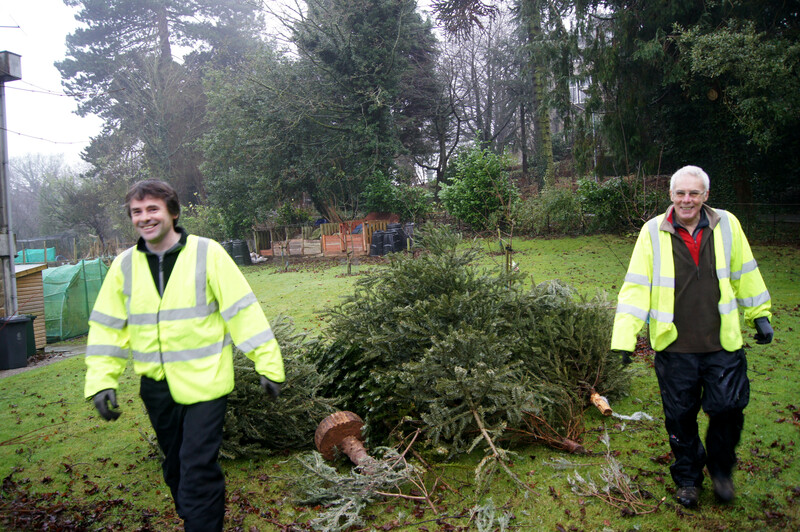 A big thank you to, The Bay, Charlesworth Tree Care & Fencing Ltd, Mark Leamy, Martin’s Landscaping Service, CGM Community Payback, B&Q, Complete Access and Tree Services Ltd, Sapphire Utility Solutions, Grant Stevenson, Barden Biomass, Kendal Auction Mart, Windermere Rugby Club, Tamang Tree Services, Alice Howe Joinery Ltd, Just Helping and many many other kind volunteers who have helped with their time and energy.